Who may need a Personal Injury Lawyer? Have you or a loved one been injured in an accident? You may need help getting the compensation you deserve. A Tort is a wrongdoing of one person that harms another. Florida law allows the compensation of Tort victims to recover from these incidents. As you would imagine, corporations, businesses, and even people are sometimes unwilling to pay for their wrongdoings. The likelihood of a wrongdoer voluntarily compensating you for their fault is slim. They will fight tooth and nail to limit their liability. Once you accept any payment or settle with them, the case is done and you may not receive any more contribution for other remedies to which you may have been entitled. Another issue is that the injuries may have long-lasting effects for which you may need more medical attention. After settling, all these future issues will rest solely on you. That is why you need an Attorney. You need an expert to fight for you to receive all the compensation that you are entitled to. Here at Mubarak Law, your future is our priority. Attorney Mubarak and his staff are committed to one-on-one representation to ensure a proper and just outcome for all clients. We will help you obtain the financial compensation and the necessary treatment you deserve. Attorney Mubarak has dedicated his time to working with insurance companies to ensure a just outcome for his clients. Let us ease your process through these stressful events. You must act quickly to obtain your maximum recovery authorized by law for you. There are time limits for individuals to recover for injuries against other parties. This doctrine is called the Statute of Limitations. The purpose is to prevent unfair lawsuits for injuries that happened too long ago. These time limits vary for each type of claim brought. Even within one type of claim, time limits vary for certain aspects. 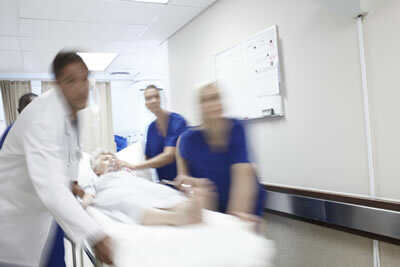 Time limits vary as short as 14 days to recover for emergency medical bills (ambulance rides). This is another way you may lose out of financial contributions that you are entitled to in helping your recovery. Central Florida has been one of the worst places to drive in the United States, particularly on the I-4. Car accidents can be devastating, leaving you or loved ones with injuries and bills. Your life is stressful as it is, and you do not want to add more stress. Nonetheless, you should consult an attorney immediately. Certain rights you are entitled to as a victim of a car accident are relinquished if you do not claim them in a timely manner. Such rights include recovering medical coverage from the guilty party’s insurance. Florida has special laws directed at car accidents. Florida is an overcrowded and overpopulated state. And why not? Florida is a great place to live. Hospitals and outpatient clinics alike are also overwhelmed. That doesn’t mean that you have to settle for underperformance of medical care. Here, at Mubarak Law, we ensure that you have received standard care and not substandard care. If you feel like you received substandard care, contact us for a consultation. Lost a loved one? Need help paying expenses and bills? Florida law allows dependents of the deceased to file claims for relief for those that have passed negligently at the hands of others (claims include: loss of consortium; loss wages; and loss of expected wages to name a few). Going to court is the last thing on your mind. Let an experience Attorney handle all of the headache for you and get you the recovery you deserve. Florida is called the “Sunshine State” for the very reason its name implies. Floridians enjoy their leisure walks/runs nearly year-round. That’s why Florida Legislatures have provided Floridians protections against dog owners and dog bites. Laws have been enacted to protect you from the occasional dog attacks. These laws place liability on dog owners for their dogs and give victims a way to recover in these such events. Our Experienced Personal Injury Attorney in Orlando Can Help! If you or a family member has been injured in an accident due to the negligence of others in Orlando, Winter Park, Kissimmee or anywhere in Central Florida, our personal injury attorney can help obtain the compensation you deserve! Please call us at (407) 502-3000 or fill out the online form located on this page and we will get back to you shortly. We have a 24-hour emergency service and offer a free initial phone consultation. Your privacy is very important to us and we will keep your information confidential.